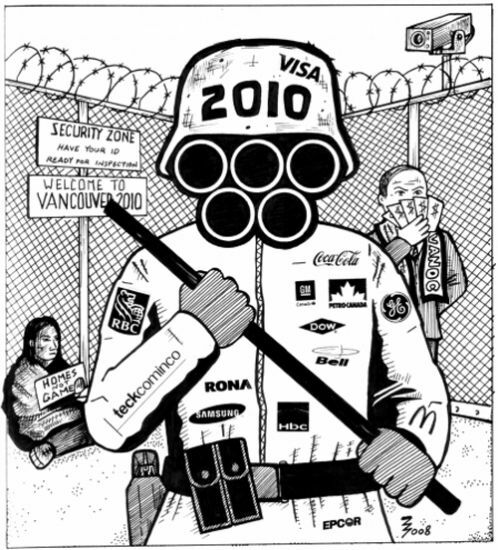 As activists across Canada lick their wounds from the demonstrations against the G-20 and prepare for the next round, hundreds of their comrades face serious charges, many of which are politically motivated. Their court cases are just getting under way, and so far documents about G-20 policing techniques and surveillance have not been obtained by journalists or researchers. The Vancouver Media Co-op has obtained the full records of Guillaume Beaulieu, who was charged with "counseling mischief" during the anti-Olympic protests in Vancouver. Beaulieu notes that the documents point to the political nature of the surveillance on him not only by the Vancouver Integrated Security Unit, but also by undercorver police who attended an event he participated in in Hamilton, Ontario. According to Beaulieu, the ISU is specifically designed as an anti-anarchist group, with a mandate to attack anti-capitalist organizers across Canada. Click here to read the documents obtained by the VMC [PDF].